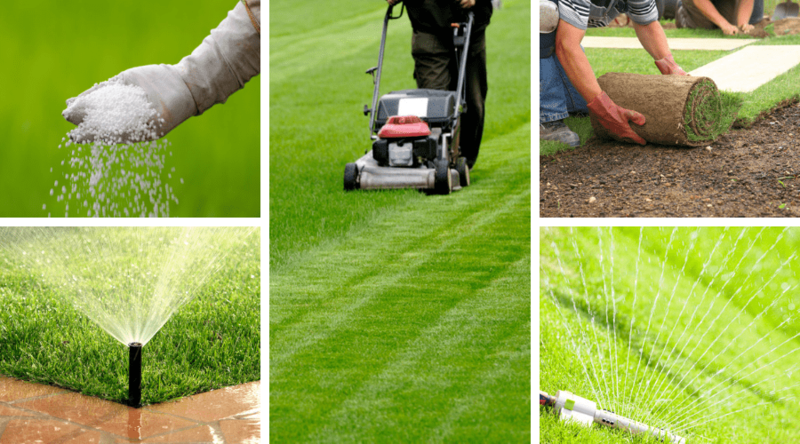 Homemade DIY gardening projects have become very popular amongst home owners. A common misbelief is that you need to have a large yard or a generous garden to plant your own fruits, vegetables and herbs, but this project will dismantle that belief. In the following tutorial, you will see just how easy it is to enjoy fresh herbs that you can grow yourself, even if your “outdoors” is just a tiny patch of grass on the side of the house. Owning a herb tower is not only a healthy option for growing your own herbs, it’s also an aesthetically pleasing decoration for your garden. Since herbs come in many shapes and sizes and most of them have tasty aromas and scents, they will look good in anyone’s garden. The fact that planters are placed one on top of the other gives you the advantage of using just a tiny amount of space. This makes it an ideal project for people who have small yards, but are still passionate about gardening or cooking with only the freshest herbs. 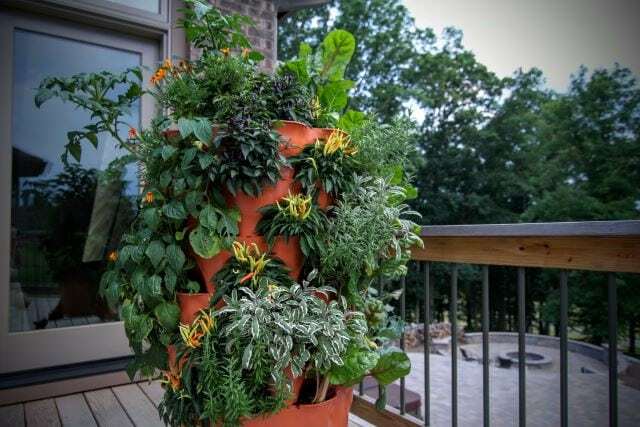 One of the main concerns that come to people’s minds when thinking about a vertical garden made of stacked pots is having it fall over and making a mess. Rest assured that this project is solid. 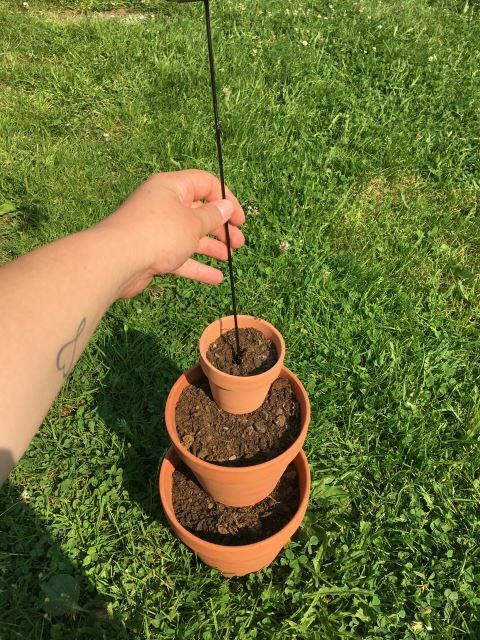 All the plants will be fixed together with the help of a sturdy stake that goes all the way from the top planter down to 8 inches into the ground. 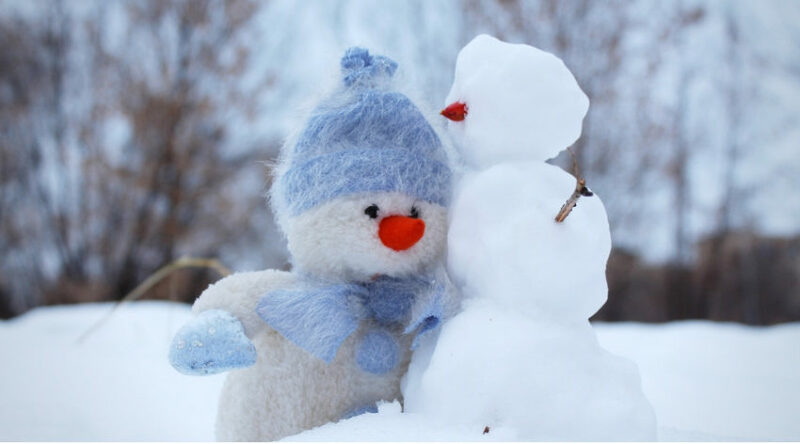 That way, you can rest assured that no wind, storm, dog or child can knock them over. To make this tutorial more comprehensive, we’ve narrowed the process down to 7 compact steps. 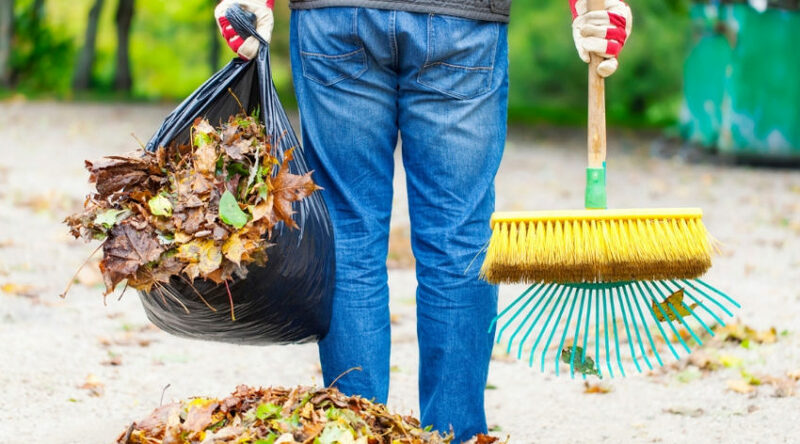 The whole project should take less than an hour, which basically means that you can create your own garden tower on any given day, even on a weekday, after coming home from work. 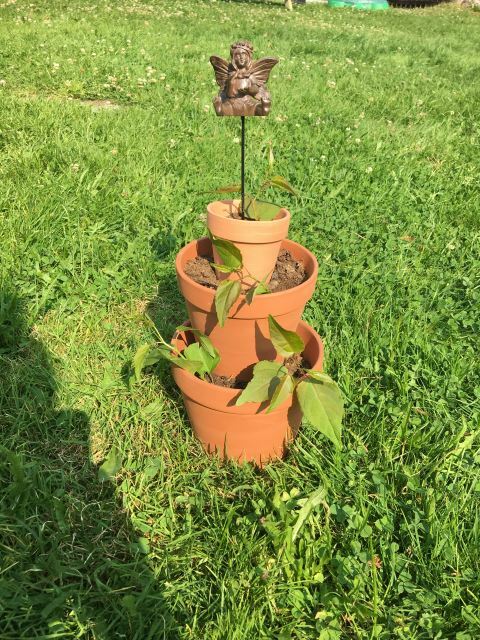 The project is super-fun and easy, so you can get your kids to join (provided you don’t let them handle the stake or move any large planters around). The first thing you need to do is choose the space where your tower will be placed. 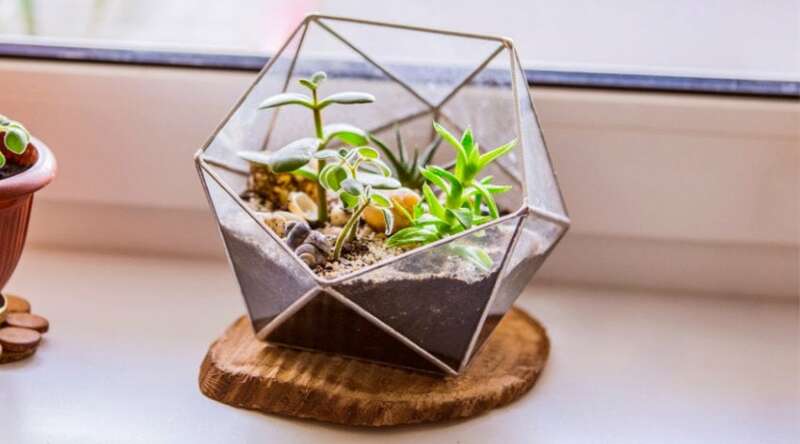 Because it uses soil, it is generally recommended that you place the tower outdoors, although there are people who prefer to have it indoors. 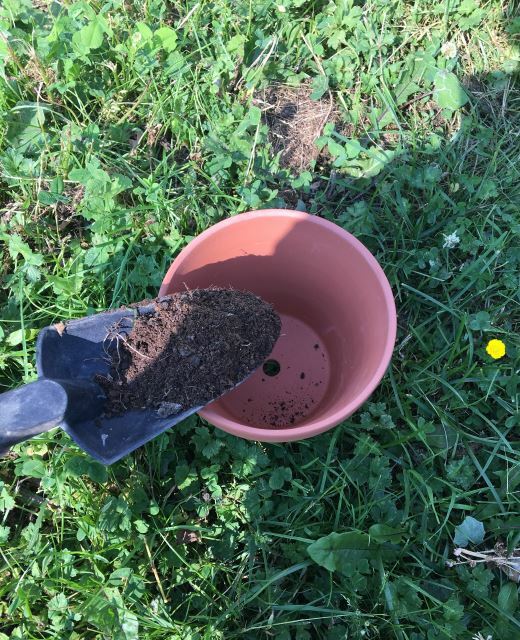 However, you must take into consideration the fact that there will be a large stake passing through all of these pots which needs to be fixed into the ground, so unless you plan on making a hole in your kitchen floor, outside is pretty much the only way to go. Once you’ve found the ideal spot, it is time to place the first planter. Since you are now fixing the base of the tower that will support the weight of all the others, we’ll start off with the largest of all your planters. Now it’s time to add soil to the base planter. 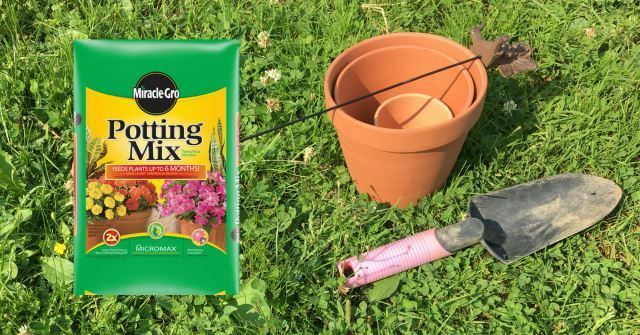 By using a garden trowel (best tool to avoid getting your hands dirty), fill about ¾ of the planter with a potting soil of your choice. 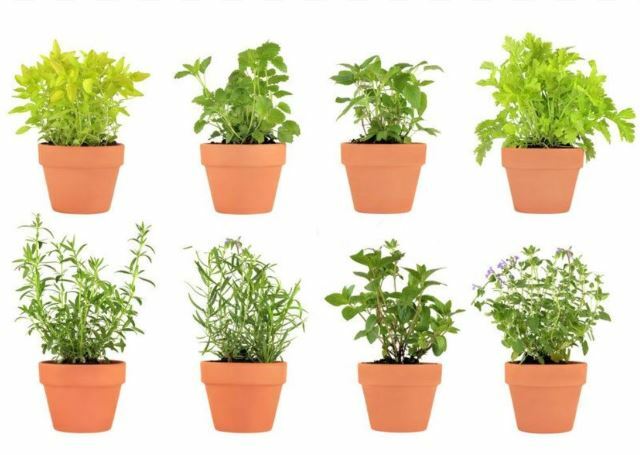 Around the perimeter of this largest pot, start planting the herbs of your choice. Here are a few recommendations: for the base level, you can opt for pineapple mint, thyme, rosemary or parsley; the mid-levels can include oregano, dill or basil; the top levels are ideal for chives. Time to move on to the next level in your garden tower. Take one of the medium sized planters and carefully place it on top of the soil in the base planter. Position it so it’s not centered. 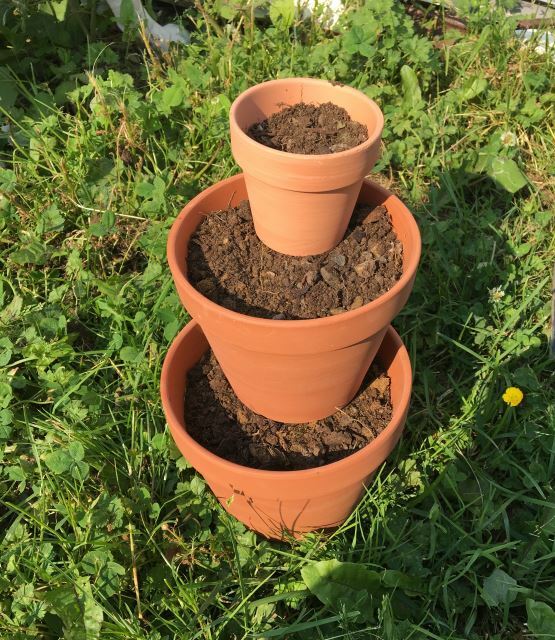 Just as you did at step #3, fill this planter ¾ of the way with organic potting soil. Then, repeat step #4 and plant the herbs of your choice. Note: You don’t have to fill an entire planter with just one herb. The base planter, which is the biggest, can host up to 4 different small plants, while the mid ones have enough space for 2 different herbs. However, if you have a limited number of herbs in mind or just want to grow more of one specific herb, that won’t be a problem. Repeat step #5 for the other planter(s). 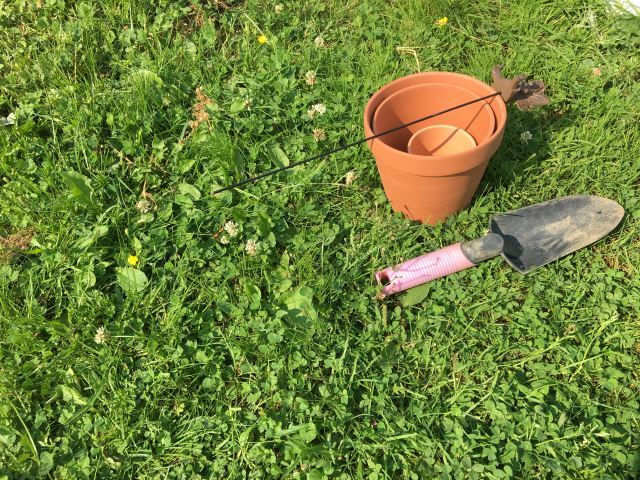 Using the sturdy stake, fix the planters in the ground by sticking it through the drainage hole in the top one and shimming it down through the others. I only did three tiers, so I should be fine with a small stake. But the taller you go, the deeper into the ground the stake should push, just to give it that extra support. 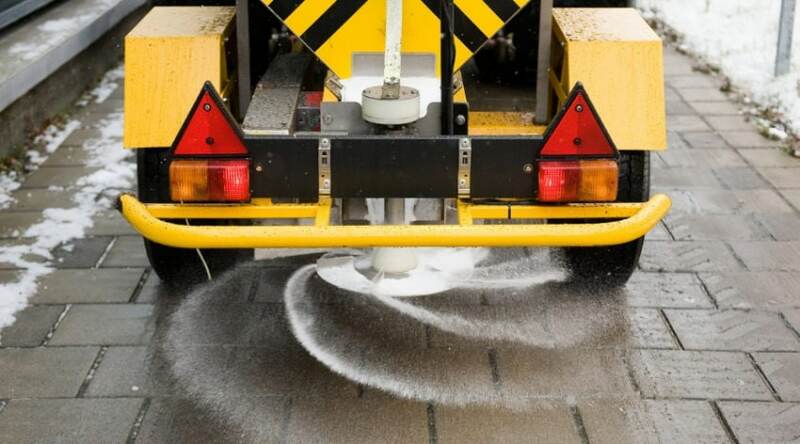 The beauty of the project is that there are so many ways to juggle with it. It’s not only a great herb provider, but you can also plant colorful flowers that will bring a dash of color to your backyard. 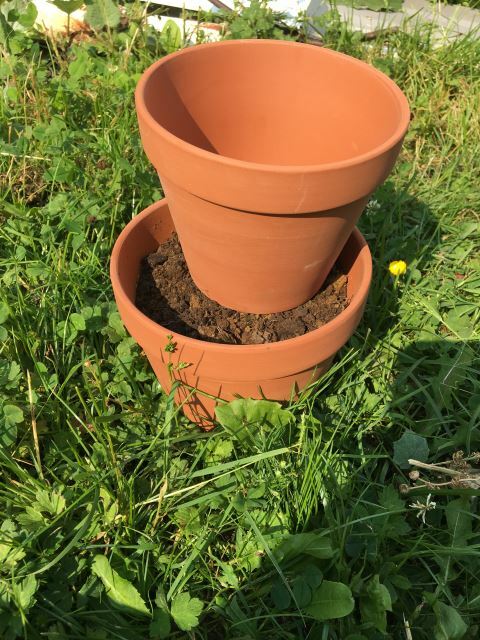 If you eliminate the spike, you can also place this tower indoors, although you need to be careful with having pets or children that could knock down the planters and make a mess. Oh, and if you lose the spike, make sure you keep the number of stacked planters to a maximum 3. On any given rainy day, when kids are getting all fussy about not being able to play in the streets, grab a bunch of crayons and colors and have them “decorate” the planters themselves. 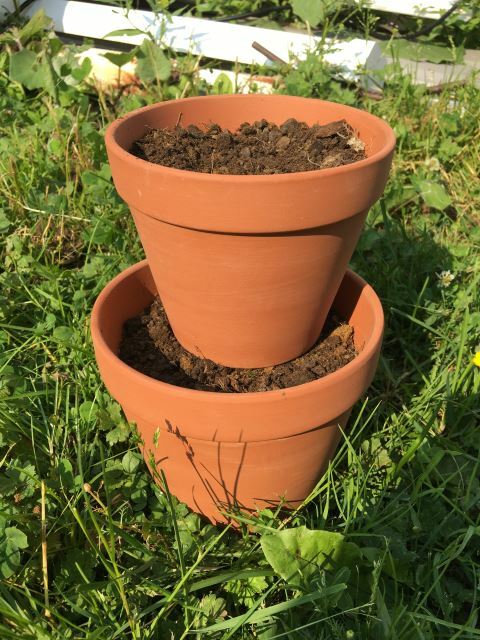 The whole family can contribute to this easy, but healthy gardening project. If you give this a try, be sure to share and comment below!